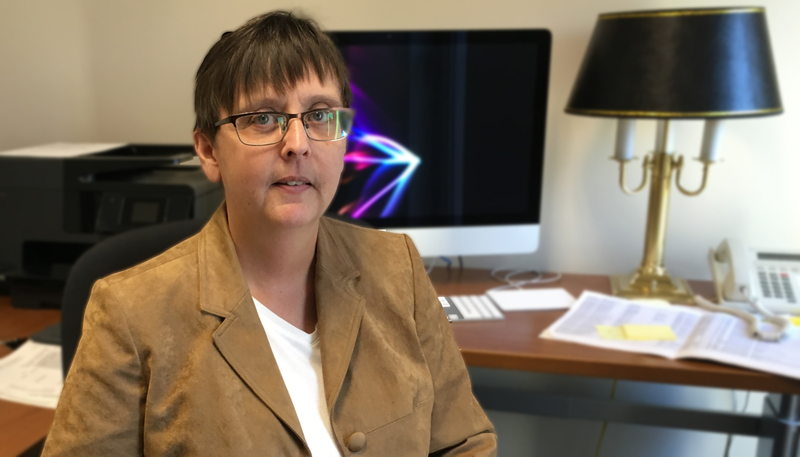 Dr. Lori Wolff joins GSE from the University of Mississippi where she most recently was Professor and Director of the Center of Educational Research and Evaluation. She has bachelor’s and master’s degrees in mathematics from Creighton University and a Ph.D. in Higher Education/Student Personnel and J.D. from Saint Louis University. During her career, she’s worked in both academic and administrative roles. While in law school, she clerked for an appellate court judge in Missouri. She comes to GSE with a wealth of experience both in teaching and higher education administration. What is your philosophy as a teacher/educator? Throughout the last 25 years, I have taught a lot of introductory statistics or research courses. I think some students, both in the master’s or doctoral level, may not have had math or stats for a long time, or they may have had an experience that created some level of anxiety. A teacher in elementary school may have told them that they would not succeed in math. It’s amazing sometimes something we are told even when we are very young carries with us into adulthood. Those negative mantras can often stick with us. I have degrees in math and I enjoy that area. I also understand that a lot of people had anxiety in that area. I’m interested in teaching in such a way that helps students realize that they can do it and have the comfort level and confidence in being able to do that work. How can we help you get those positive mantras in your head so the negative mantras don’t stop you from being successful? What may take one student four hours to do may take another students 20 minutes to do it. But what’s important is that you are willing to put in the work to be successful. In addition to the mathematics and statistics anxiety, I also have worked in previous institutions with some faculty members in counselor education, including research related to career transitions. I’ve gong through it myself. Our parents and grandparents might have had just one career. But that is not true anymore for the generation that we typically are dealing with. As learners and workers, we need to be able to deal with these career changes. What are some of the areas in education that need more research? Assessment and program evaluation are becoming important areas, regardless of your discipline. Some people think they are bothersome to do. But even if you view it from that point of view, it is something that is really part of our world. But if you can work with assessment and evaluation and learn about it, that can often help you in any career. Your Ph.D. is in higher education. In your opinions, what are some of the pressing issues in higher education? Looking at the structure of higher education, you have discussions about tenure, unionization and how that is applicable to higher education. Part of my legal background is employment law so it’s always interesting to see what’s affecting us. Diversity, inclusion and equity discussions are ongoing. What we are doing do in higher education reflects what’s going on in the world. We think about things like Black Lives Matter. And higher education is a space where we can have open discussions. Do you have any big plans for the GSE? I started on August 1 so I have only been here for two months. I am still in that learning process and will continue to be in that learning phase. Dean Roach has been here for a little bit over a year. She has done great things in terms of bringing people together and working with our degree programs and students. I hope to work under her vision as we move forward. What are some of your interests outside of your professional life? Living in the New York area, I want to be able to take the opportunities to take advantage of not only what Fordham has to offer but also what New York and the surrounding area have to offer. I want to make sure to take advantage of what’s in the city-Lincoln Center, Broadway-at least once a month if not once a week. Outside of the city, we have beautiful areas of nature. New York, as a state, really runs the gamut of the opportunities in terms of culture and nature.